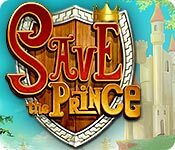 Save The Prince is rated 3.4 out of 5 by 48. Rated 5 out of 5 by FaithWhite from Hilarious!! This game takes stalking to a new level. One deluded girl loves the prince and decides to trek across the entire kingdom with the help of a reluctant dwarf to save him from some evil curse. Each level had a conversation between this girl and the dwarf which kept me entertained throughout the entire game! Each level was a unique puzzle that sometimes took me a few goes to get the gold and properly pass it. 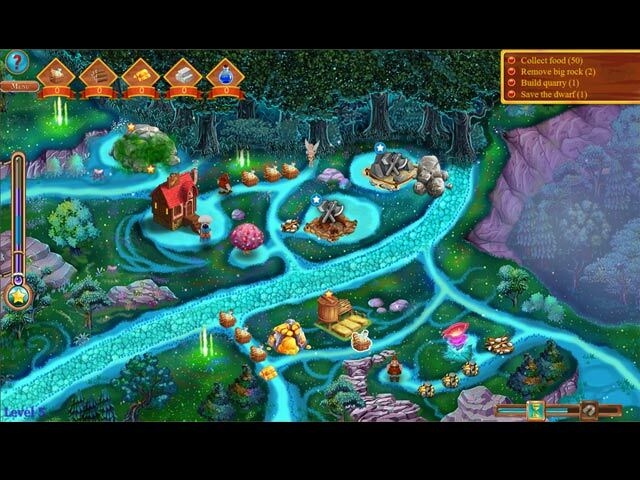 I have been playing this game for quite some time as it is a great drop in and out game for when you have some spare time. No need to rush to the end. Well worth buying and playing!! Rated 5 out of 5 by Kharmoniet from Fun Game! This game is fun and challenging. A little different than the others like this. Rated 5 out of 5 by tutortime from Loved it ! 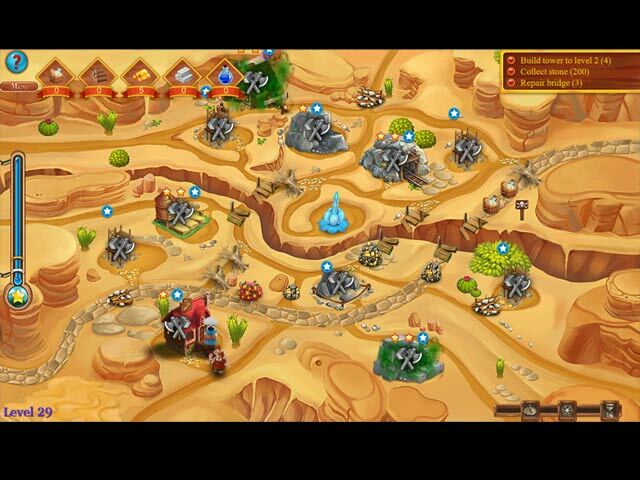 Great time management game. Loved the bright colors and graphics. The game had a cute story line and interesting scenes to progress through. I chose to play the game in the relaxed mode and enjoyed it. I may play it again in the challenge mode at a later date. 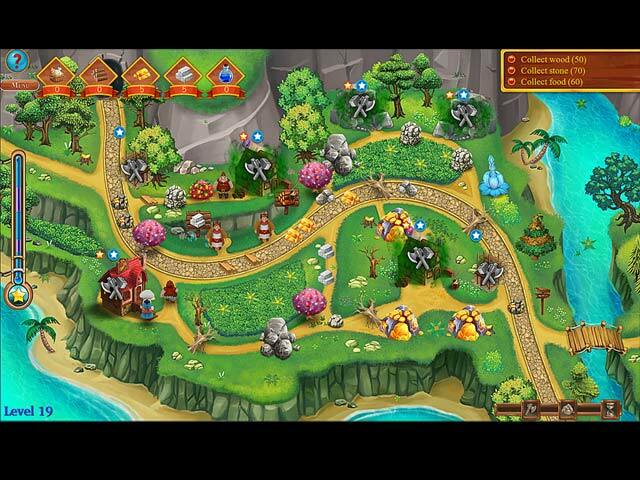 Rated 5 out of 5 by JeannieT_LFP from Very good TM game If you enjoy time management games, you should try this one. I've played 15 levels so far and found the game to be challenging on the timed mode of play (assuming you're trying for the gold star on all levels). The game played quite smoothly on my iMac. A nice touch is the ability to click on the "?" icon if you need help with strategy to reach gold. I agree the dialog translation could have been improved, but this is par for many of these games. I suggest skipping the introductory dialog at the beginning of each level, as you don't learn anything further about the game. There were a number of complaints about the plethora of goblins. Tip: if you click immediately before them, you rarely have to click more than once or twice to send them running. Perfect? No. But then, I don't expect perfection in such inexpensive games (especially with special pricing) -- I pay much more for a movie that lasts a fraction of the enjoyable playing time provided by a majority of the games BF offers. If there is a sequel to this game, I will definitely try it. Note: there really have not been many good TM games released for us Mac users lately. Adelantado Book 1 is my current favorite, but that's only because the several sequels aren't available on Mac. Rated 5 out of 5 by godfreygirl from LOVE this little game.....SO cute!! I found this by accident and am glad I did. I love this game and it's now my second favorite....my first is "Gardens Inc. 2: The Road To Fame Platinum Edition". This game is on the same order. The scenery isn't quite on the level of Gardens..., but it's very good anyway. You get things out of your path, pick up food, gold, stones....upgrade your shacks, save the witch, try to chase the gremlins out of the area....in Gardens, it's the bandits....and it's just a very fun game to play. It took me a couple of times creating new profiles and getting used to what to do....but the challenge to get things done quicker and efficiently is basically the same. I now go back and forth between the two games and love both of them. Very worth buying. Rated 5 out of 5 by dirtybelly from save your money, too much clicking you're constantly clicking on these annoying little gremlins to keep them from stealing your goods. Every level has these things. C'mon. Save your money.